Unicorns are the biggest hit right now! And an unicorn baby mobile with a rainbow and clouds would be a great nursery accessory on cot or changing table – whether intended for charming the baby for sleep or just for admiring. 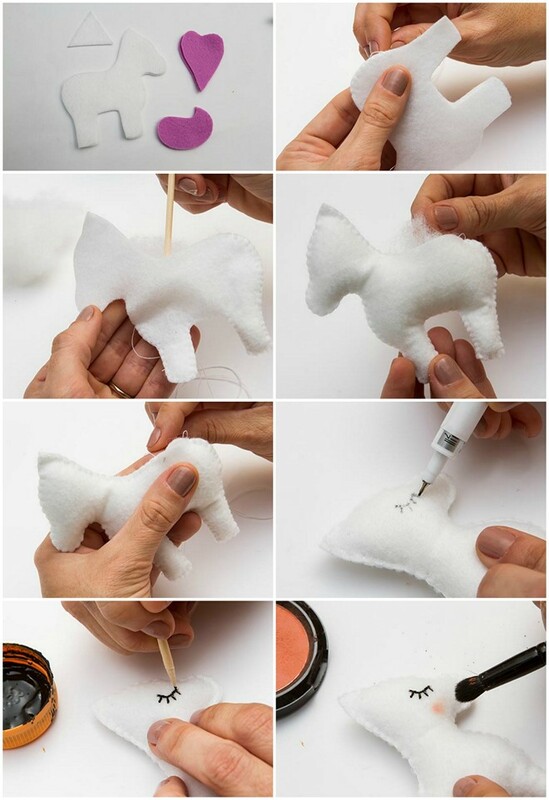 Learn to make this lovely felt unicorn baby mobile. 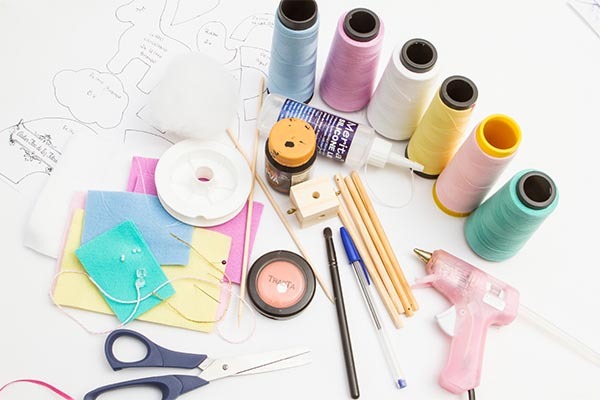 It’s easy and you even don’t need a sewing machine! Print the template on A4 sheet of paper. 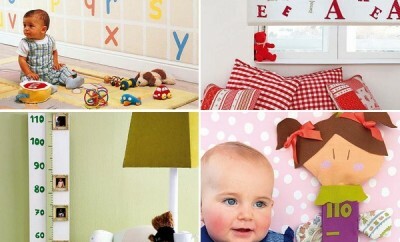 Transfer the template on the felt fabric according to the colors indicated in the photos. Do this on a double folded felt, secured with a pin. Cut out with scissors. To avoid visible pen marks, always cut them in a little to the inside. To assemble the rainbow, cut all 5 rainbow pieces from the indicated colors. Position the parts of the rainbow on top of one another, as shown in the picture. Glue the layers together, applying the silicone glue, right in the center of each. With the needle and a thread in the color of each felt sew with a backstitch all the way around the rainbow. 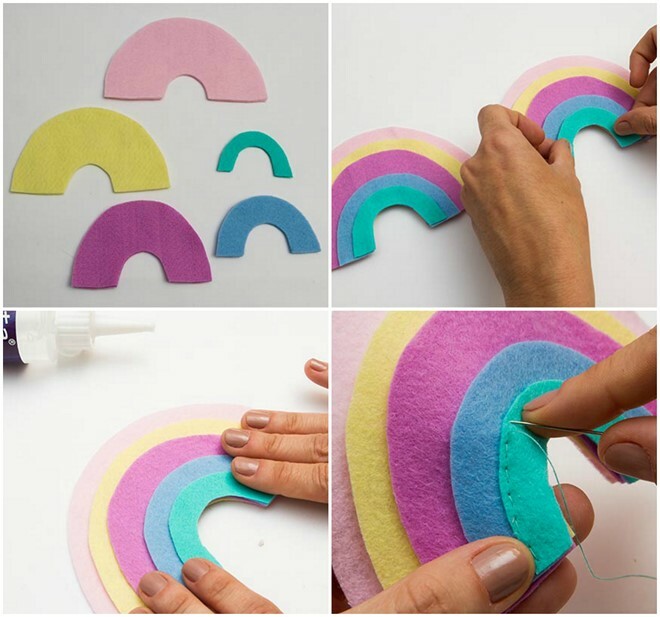 With all parts of the rainbow glued and sewn together, sew the two parts back to back using buttonhole stitch. Close all the way around the rainbow leaving an opening at the top. 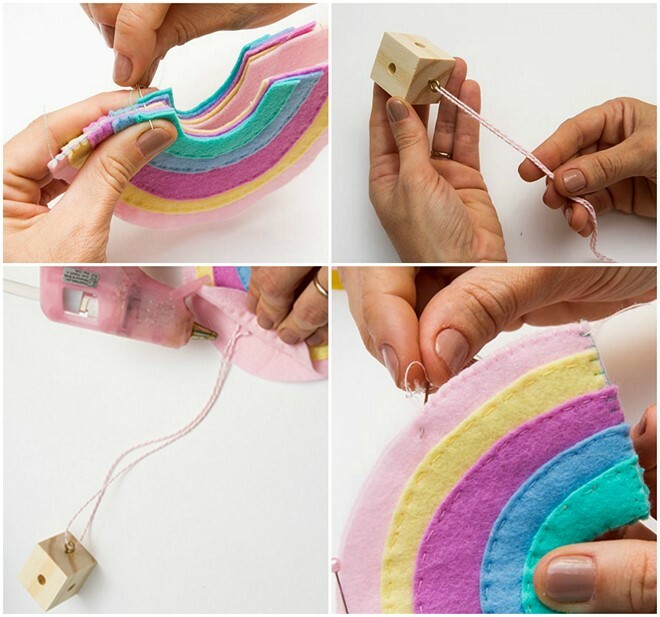 To attach the rainbow to the wooden hanger, thread the colored string through the hook, measuring the string divided in half. With the hot glue, glue the ends of the string in the center of the rainbow, right between the two rainbow pieces. Stitch the outer part with the string stuck with the hot glue, remembering to put the hot glue away from the edge, so that you can do the stitches. At the height of the cord, reinforce the seam. 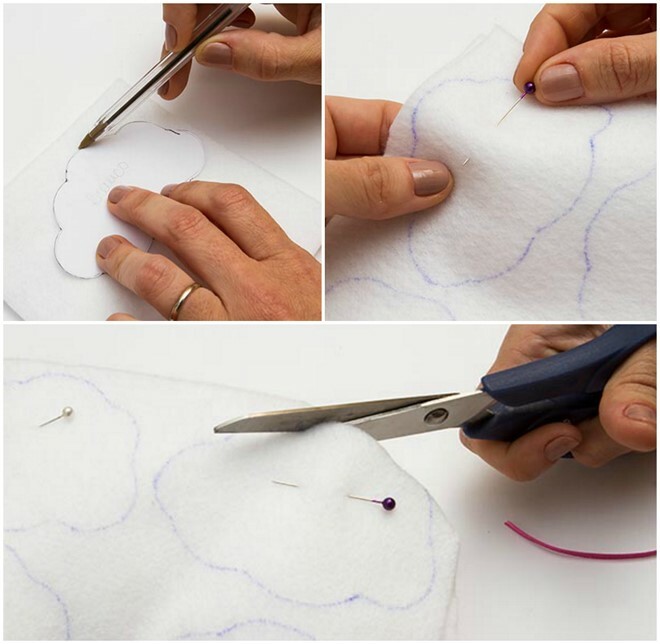 Making the clouds: Using a needle and thread sew the two white felt pieces together, leaving a part of two fingers open to fill with the silicone fiber stuffing. To stuff the clouds, use a wooden skewer to assist in filling. 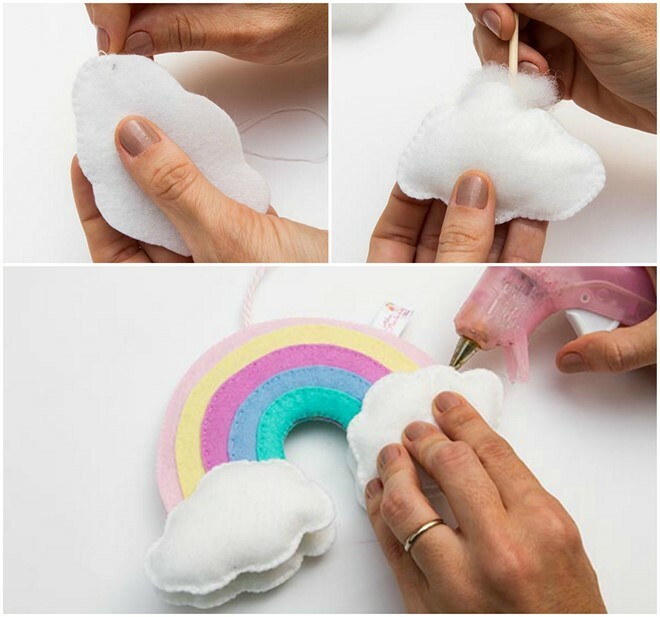 To finish the rainbow, glue the four clouds at the base. 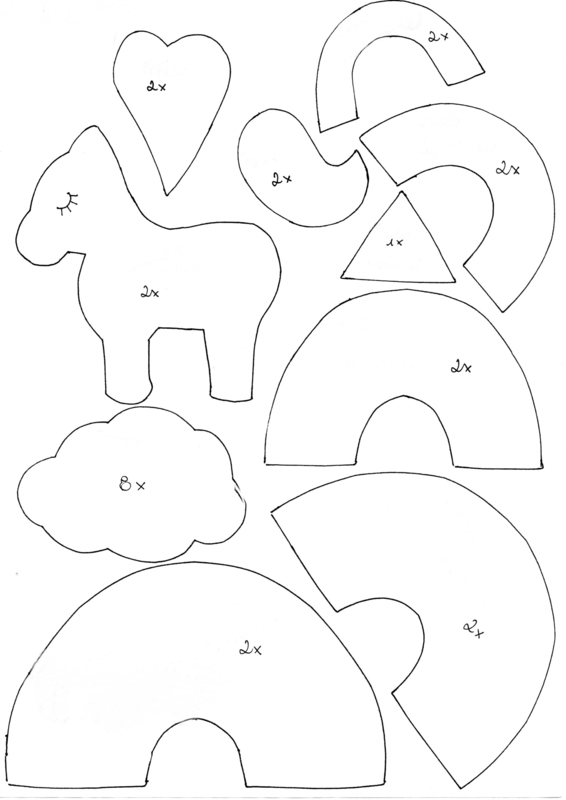 Making the unicorns: Cut each template from felt fabric in the indicated colors. Begin the buttonhole stitch by the tale and down, closing the two legs, and stop there. 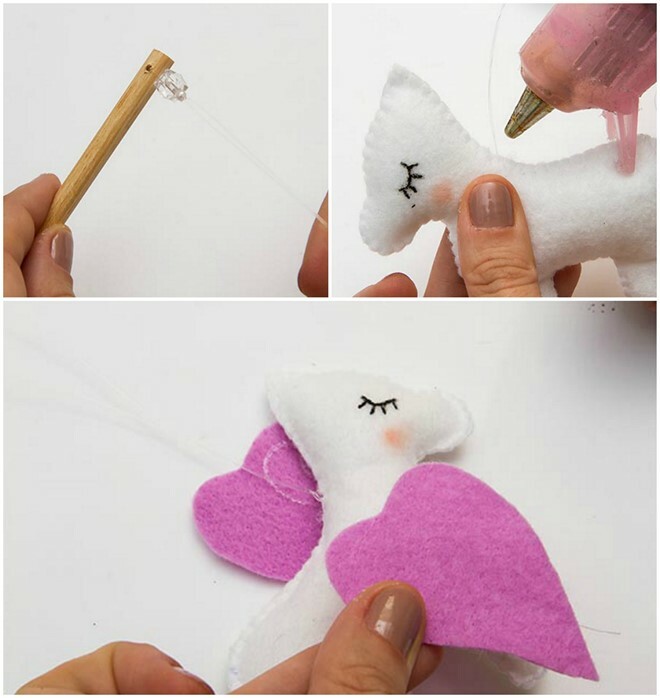 With the help of the wooden skewer, fill your legs before finishing the buttonhole stitch. With the silicone fiber, also stuff the head and the body. Finish the stitch to close all openings of the little unicorn body. With the unicorn already closed, mark a little eye with lashes using the permanent marker. With the wooden skewer, trace the eye using the black PVA paint. Make the eyes on both sides of the unicorn. With an eyeshadow brush, mark the cheek with the blush. To attach the unicorn to the mobile hanger, thread the nylon string folded in half through one of the arms of the mobile. To secure, use one large transparent bead and one small one to lock the string on the rod. Pass the ends of the nylon thread into the unicorn, between the points of the buttonhole stitch. Fix with hot glue. Glue the purple felt hearts to the unicorn, positioning one heart on each side with the nylon thread running right through the center of the heart. Making the horn: Using hot glue attach the gold cord on top of the triangle shape, as shown in the image above. Close with the buttonhole stitch, starting from the top to the base of the triangle. Fill with a little silicon fiber, leaving the base open. Wind the golden cord from the top to the base of the horn. 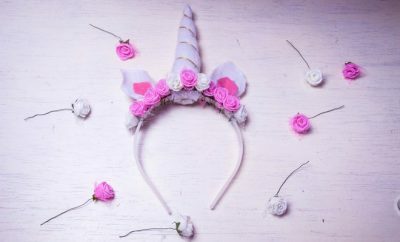 Glue the horn to the unicorn’s forehead with a blob of hot glue. 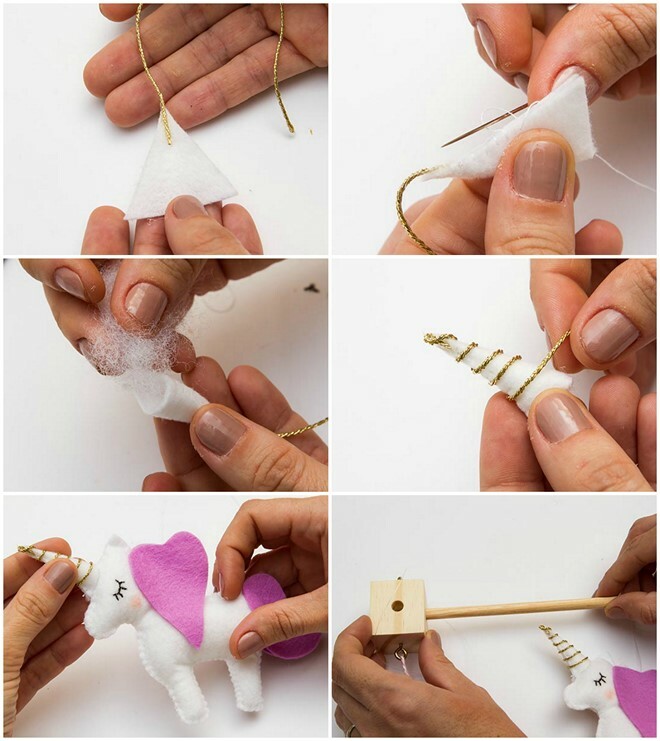 Make four unicorns for every arm of the wooden mobile hanger. At the end put together the wooden rods and dice using hot glue. 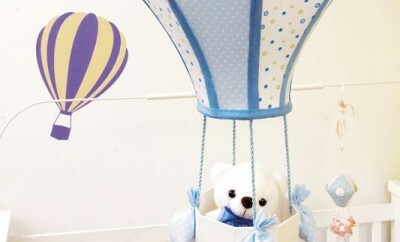 And your unicorn baby mobile is ready!